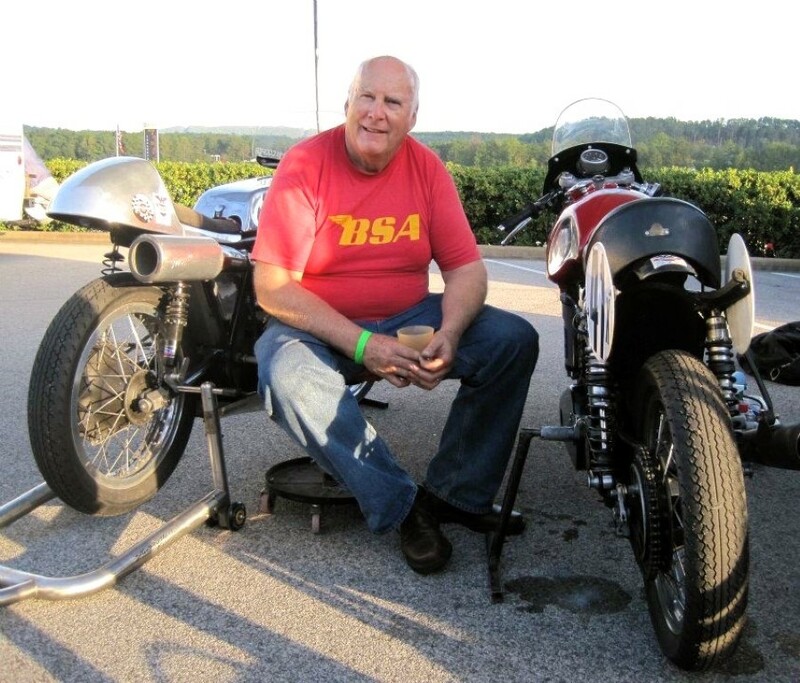 If you asked John Cooper whether he’s been a motorcyclist all his life, he might answer, “Not yet!” For JC, motorcycling is still a work in progress. 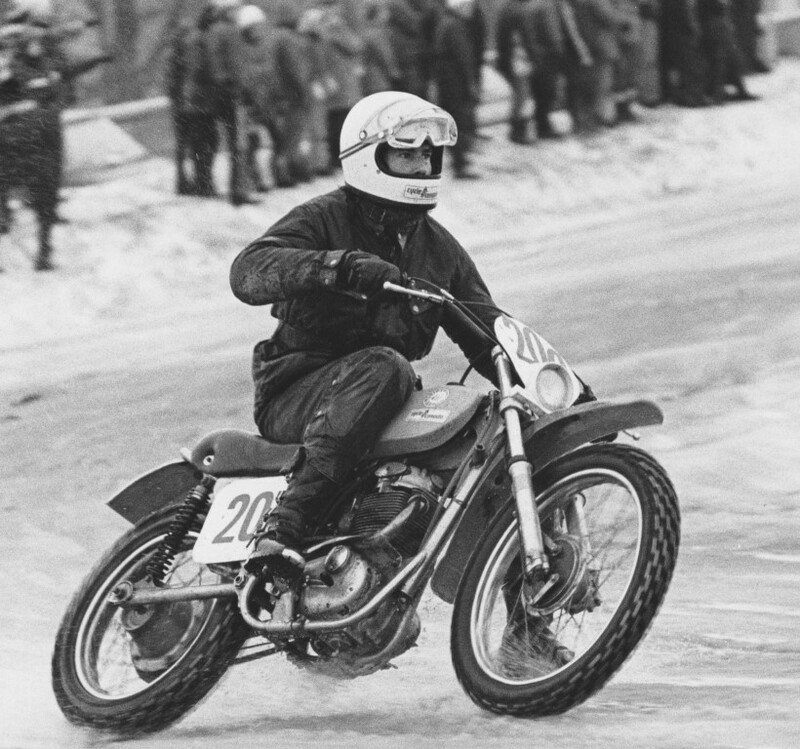 Starting as a timid street rider on a borrowed bike, he became a collector and restorer, moved into publishing and related business endeavours, then embraced off-road riding and competition, vintage road racing, Motogiro road rallies and currently long-distance touring. He still keeps a foot in those camps while searching for new roads to travel. 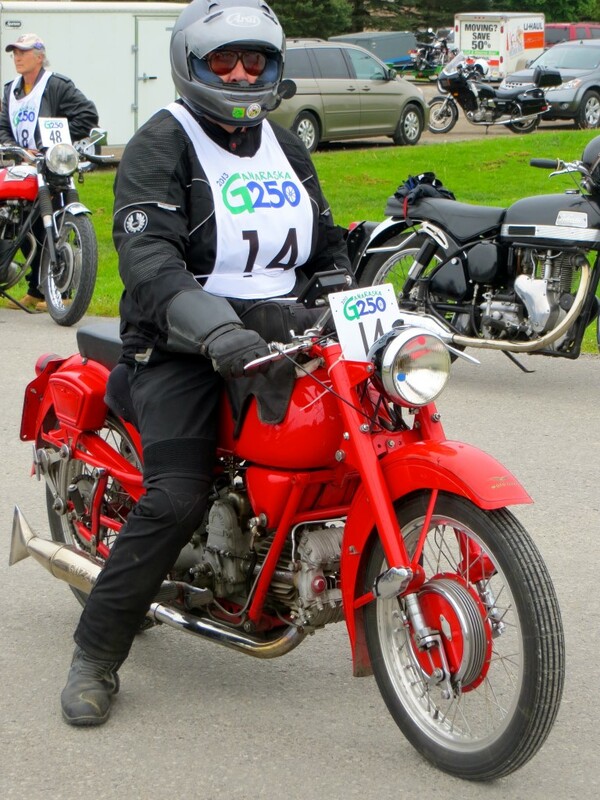 That first ride was on a restored 1935 Rudge Ulster, a British single-cylinder 500 already 30 years old. 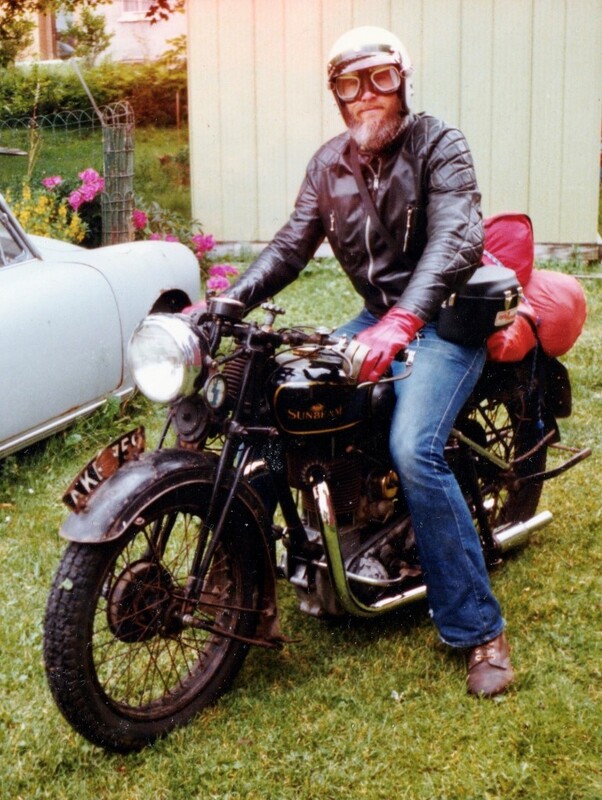 It perhaps helped determine John’s lifelong interest in riding and wrenching on vintage machinery. 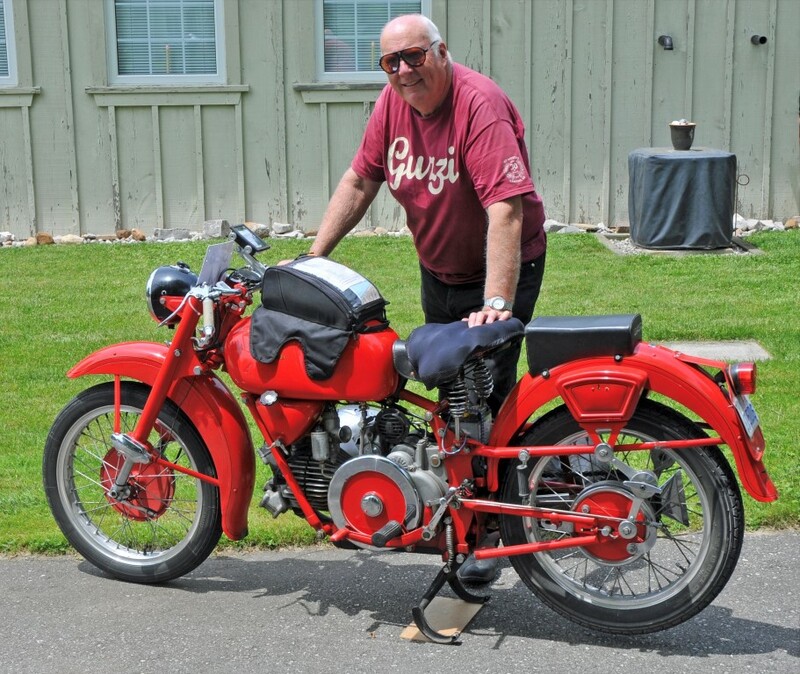 The Rudge was owned by a young friend whose mother had banished it from their Toronto residence, so it found temporary refuge at John’s family home in Port Credit, Ontario. Anyone with a driver’s licence could legally ride a motorcycle then, so why not? Motorcycles offered a ratio of speed per dollar that was hard to resist. For choice of a personal bike, common sense was in short supply and John’s first motorcycle was a derelict 1947 J.A.P. speedway racer. With no brakes, no gears or suspension, total-loss lubrication, methanol fuel and 45 hp on tap it was surely a perfect beginner machine… Mercifully, it was a non-runner and stubbornly remained so despite John’s efforts at restoration, so grievous incidents were avoided. He next adopted a stripped-down 1947 Velocette KSS that had deteriorated to the status of farm bike and was likely to soon become landfill. The price of $40 seemed in line with its condition. 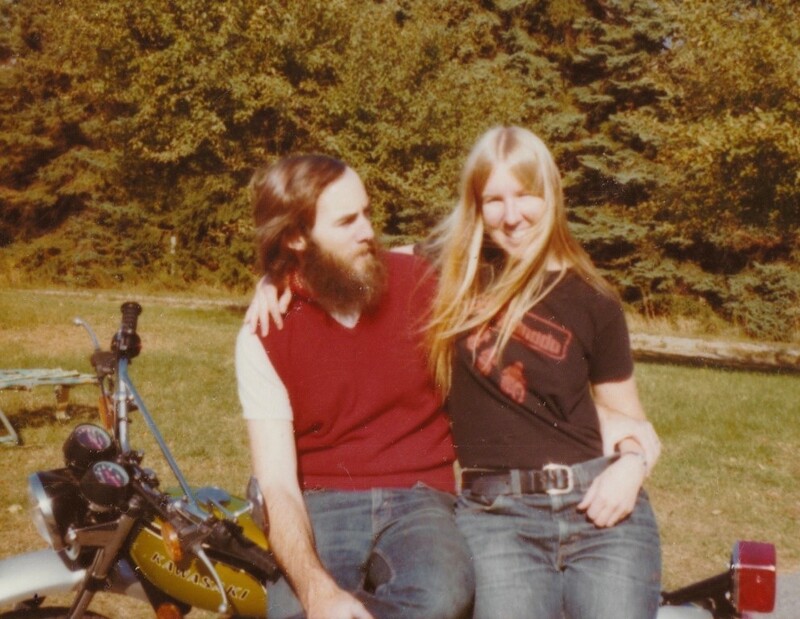 This period coincided with the formation of the Canadian Vintage Motorcycle Group, when John was invited by family friend Peter Gagan to become one of CVMG’s founding members in the fall of 1968. John has participated in club activities ever since and was named as an honourary life member. Jump forward a few years and John, a reluctant student and graduate of what now is Ryerson University, was looking for a more satisfying career than a junior position in an engineering office. Chancing across an issue of Cycle Canada, a magazine then still in its infancy, led him to respond to an ad for the position of editorial assistant. Submitting first a sample essay, then attending a five-hour evening interview with its founding editor and publisher, Georgs Kolesnikovs, John signed on as assistant editor. He little knew what the next 30 years would hold, but within a few months became editor and part-owner when the boss announced he was going to move on. John and two fellow employees, Marty Levesque and Jean-Pierre Belmonte, became owners of Cycle Canada and its sister publication, Moto Journal in Montreal, under the banner of Brave Beaver Pressworks Ltd. Fresh out of editorial boot camp and then a rookie owner of a struggling business, John found the early years a major challenge. The partners kept the enterprise afloat in a small market and an era of primitive information technology. They gathered and shared stories by telephone, courier and post, to the accompaniment of clattering antique typewriters. It was a pre-digital age of carbon paper, tape, scissors, White-Out and editing by pencil: cumbersome and time-consuming at every stage. Yet they also quickly moved forward into new terrain, launching the first Cycle Canada motorcycle show at Exhibition Place in Toronto in 1977 before expanding it to a national series that ran until 1985. 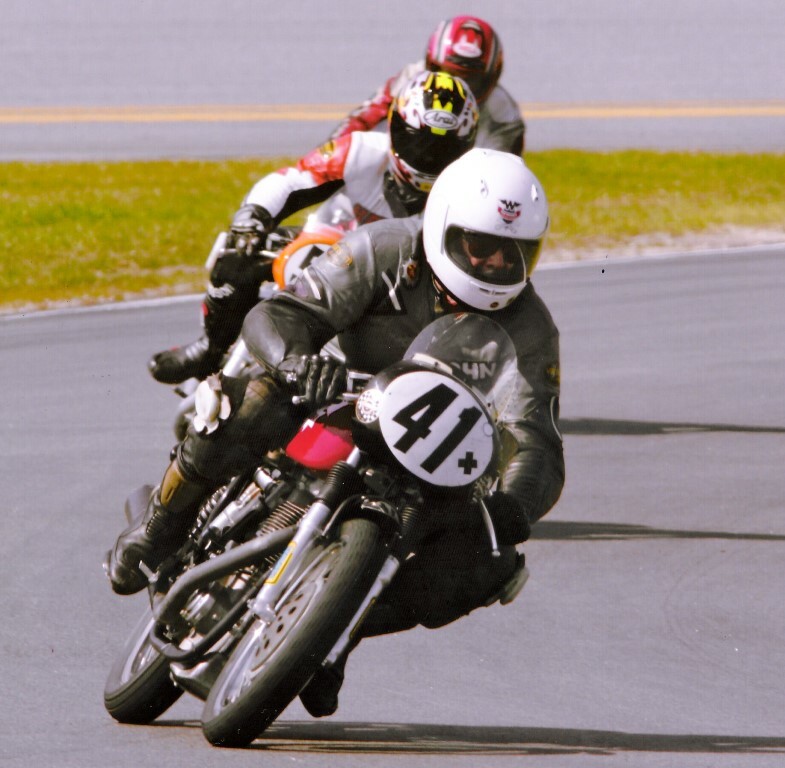 They partnered with their old mentor Georgs Kolesnikovs and created the Great American Motorcycle Show series based out of Newport Beach, California. That was eventually sold to a competitor and nowadays is known as the Progressive International Motorcycle Shows and spans the U.S. from Washington, D.C., to Long Beach, California. There was even a foray into mainstream publishing with a magazine called Sports People, and trade shows and publications for children’s products and incentive marketing. John filled an editorial and management role with most of these ventures as well, relinquishing the editor’s chair at Cycle Canada after 15 years to Bruce Reeve, who built the magazine into one of the best anywhere. 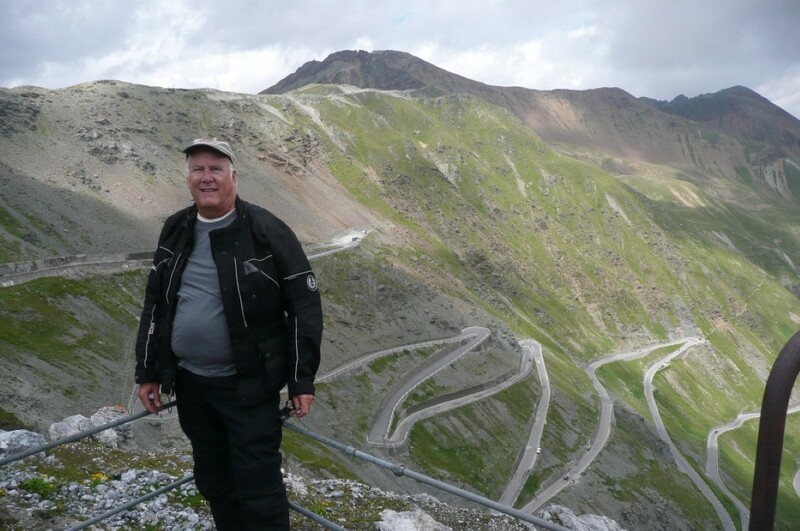 John contributed a monthly Vintage View column in an effort to record Canadian motorcycling history. 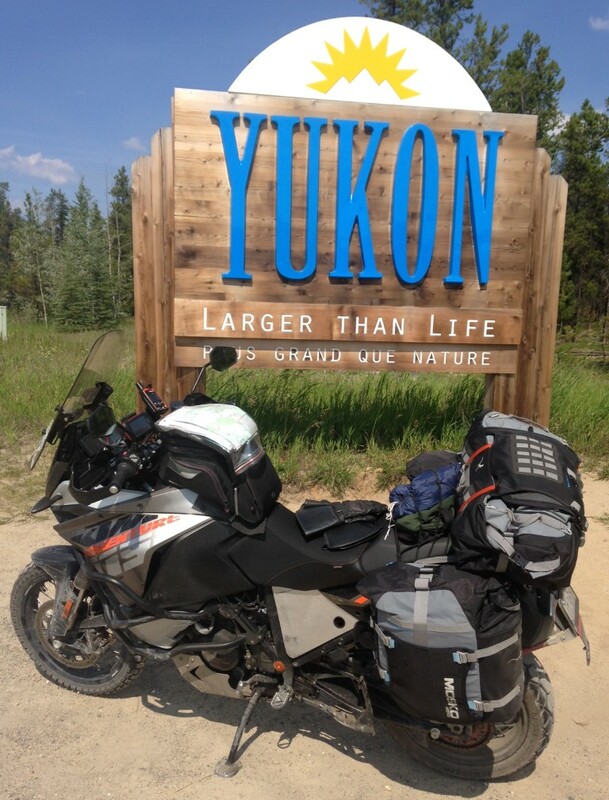 As a means to build a motorcycling community the company, now renamed Turbopress Inc., launched a series of road rallies from Manitoulin Island, Ontario, to Jasper, Alberta, plus a legendary off-road event in the wilderness region of Parent, Quebec. And speaking of legendary, the long-running Sportbike Rally in Parry Sound, Ontario, came aboard along with its founder, Mike Moloney, as the company grew through the 1990s and reached a long-hoped-for measure of success. Turbopress entered the new millennium on full boost, eventually attracting a buyout offer that culminated in a change of ownership in 2004 and retirement for the three partners. John and his wife Heather, with a grown son and daughter, now remain active in community and motorcycle events that catch their fancy.